Banner software for Linux allows users to create beautiful and attractive banners on Linux system. Support Linux OS such as Debian, Ubuntu, Fedora, CentOS, OpenSUSE, Mint, Knoppix, etc. A banner is generally a header image on the top of a website or blog showing the profile of a company or person. It might also be an advertisement displaying brand messages to site visitors. A banner should be informative and eye-catching. Below will show you a program for designing banners on Linux OS. Edraw banner software is a cross-platform banner design program coming with extensive elements and templates. 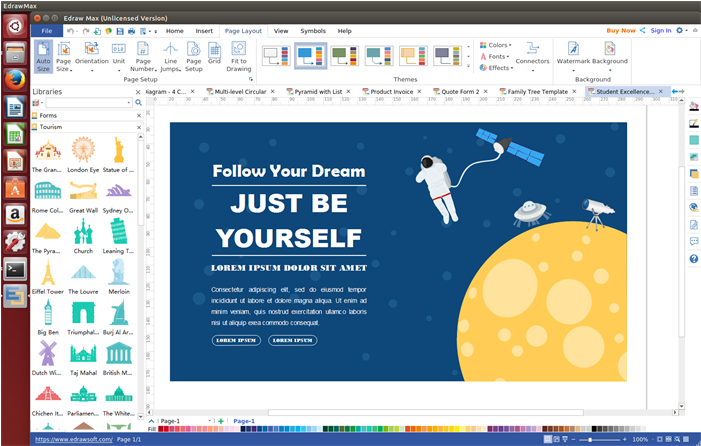 It lets Linux users design beautiful banners with ease and export to a variety of file format they want. Its user-friendly features and straightforward interface allow both experienced and new users to make beautiful banners like professionals. Work with Linux distributions such as Debian, Ubuntu, Fedora, CentOS, OpenSUSE, Mint, Knoppix, RedHat, Gentoo and More. 1. It has many banner templates to help you start quickly. 2. You can use a large quantity of built-in vector elements and clip arts. 3. It allows you to insert local images and crop images to any shapes. 4. 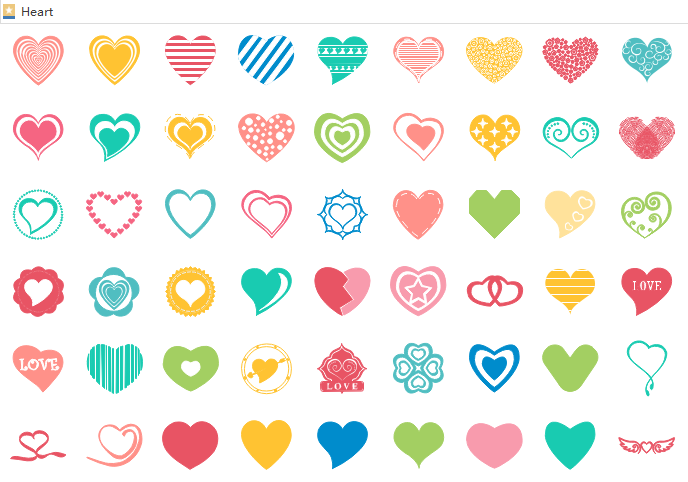 It has beautiful textures and patterns that you can fill in shapes or use as background. 5. 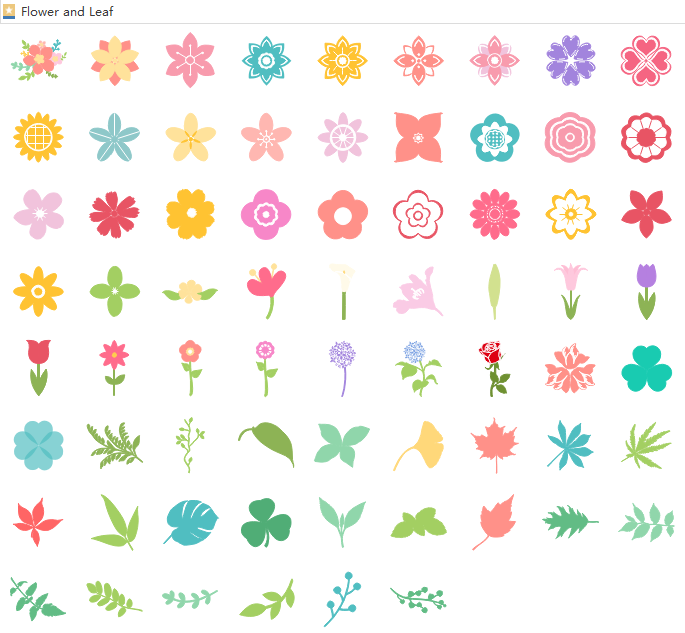 It's easy to create new vector elements with the drawing tools. 6. Easy to set custom banner size. 7. You can export the banners to a variety of formats, such as .png, .pdf, .jpeg, etc. Using pre-made elements and icons to design banners will save you plenty of time. You can open a library, drag and drop an element, and edit it to fit your requirement. Every detail, the color, size, and line, can be edited. You can take full advantages of these elements and add your own creativity to design attractive banners. Below simple steps help you learn how to create a banner with our program. Step 1. 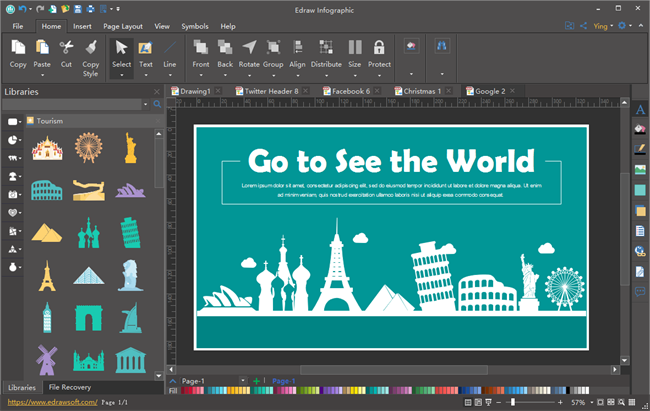 Launch Edraw Infographic software, go to File menu, click New, then double click the icon of Banner template. Step 2. From the left of the canvas, open the libraries you need. Drag and drop elements on the canvas. Step 3. Modify the elements according to your design style. 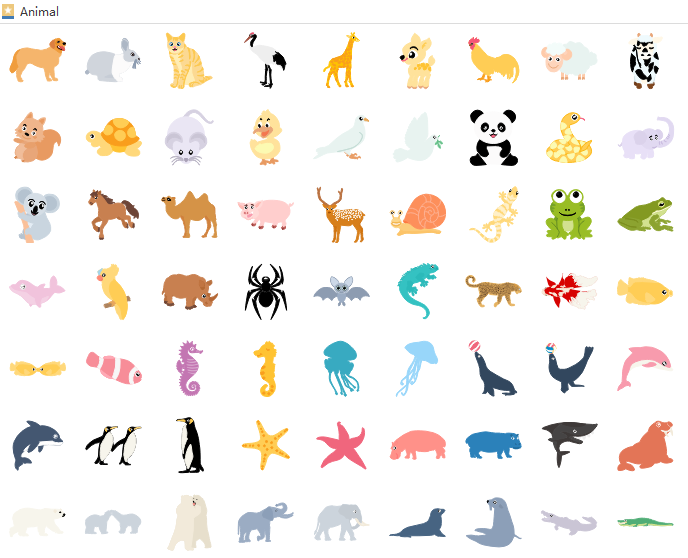 You can edit every subshape with personalized colors and lines. Step 4. 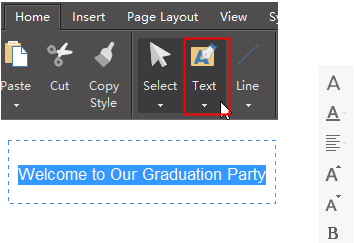 Click the Text button to draw new text blocks and enter text. Open the Font tool on the right sidebar to format text. Step 5. Add more elements and lay out the banner. In the software, there are dozens of Banner Templates you can directly use. Below lists only a few of them. Here is a banner template for twitter header. You can add your own text on this banner. This Facebook banner template can be used for business page header. 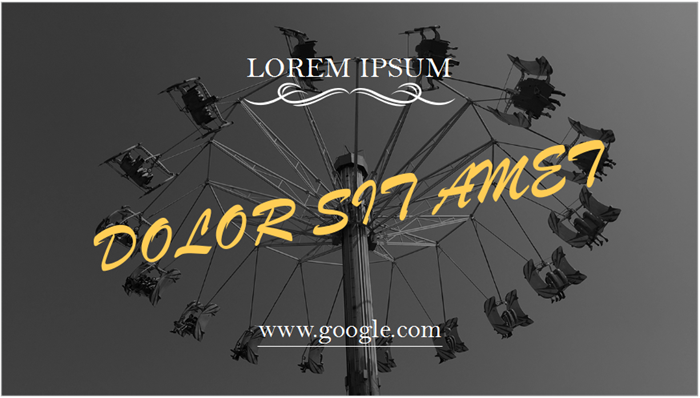 The google+ banner is designed with a background image and a few text blocks. 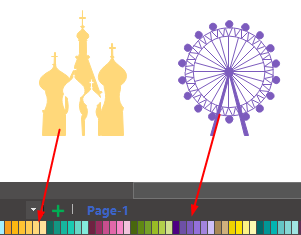 Edraw has the image recolor function, which can make images with black-and-white effect. 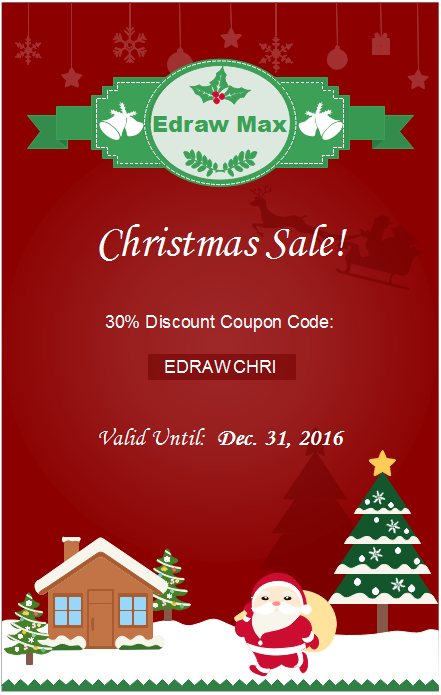 This Christmas sale advertisement banner was designed with just a few mouse clicks. All the elements on this banner can be found in our Christmas symbol library.